If you are considering purchasing Oregon beach property, why not try out the area by renting a place first? A-1 Beach Rentals has over 25 beach rentals on the coast in Lincoln City and Depoe Bay. Enjoy a getaway among the wild beauty of Oregon's rugged coast and see for yourself why vacationers return to the area year after year. 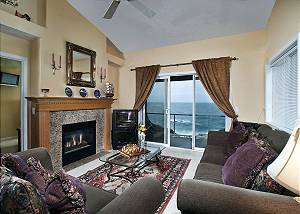 Click Here To View Our Oregon Coast Beach Rentals! Quaint, old-fashioned comfort combined with modern amenities best describes our properties. We have modern, craftsman and historic homes in various parts of town so you can delight in your favorite activities, such as beachcombing or spending time in Chinook Winds Casino. Our differently sized homes feature between one and seven bedrooms and can accommodate up to 50 guests, depending on the property. Browse through our site to get a feel for our various properties, and choose the one in which you would like to stay. You can search availability and book your reservation right on our site, or you can call us with any questions you have. A reservation specialist will be happy to answer your call.